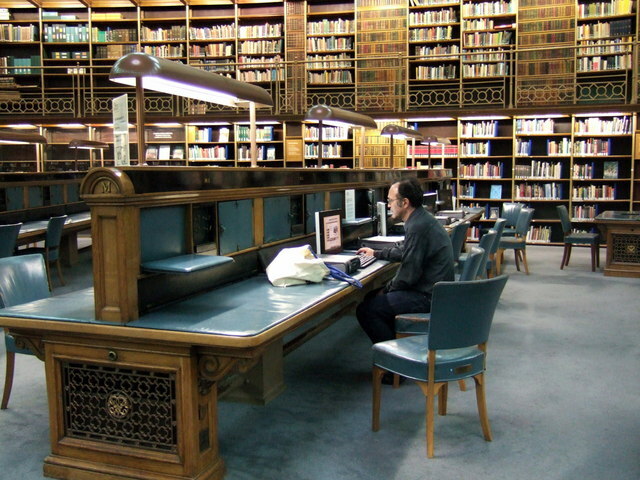 Generations of researchers, writers, thinkers and students sat at these leather-covered desks to use the incomparable facilities of the British Library, from 1857 until 1997 when the books were moved to the new premises in Euston Road. The Reading Room remains available as a public resource with reference books on the open shelves and terminals for online research. Listed on the wall are the names of many of the most celebrated library-users - from anarchists to zoologists. This page has been viewed about 717 times.